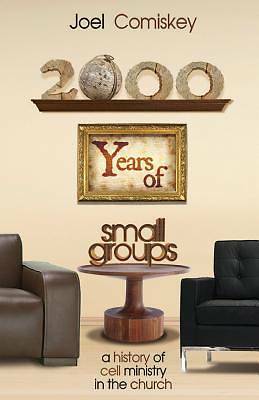 This book explores how God has used small groups throughout church history, specifically focusing on the early church to the present time. God not only established the early church as a house to house movement, but he also has used small groups throughout church history. This book chronicles the small group or cell movement from Jesus all the way to the modern day cell explosion. Themes include: -Small Groups In Biblical History -Small Groups In Early Christian History -Small Groups and Monasticism -Small Groups During the Pre-Reformation Period -Luther and Small Groups -Martin Bucer and Small Groups -The Anabaptist Movement -Puritan Conventicles -Pietism -The Moravians -The Methodists -Modern House Churches -Small Groups in North America -The Modern Day Cell Church This book will both critique the strengths and weaknesses of these historical movements and apply principles to today's church. You will grow in appreciation and understanding of key small group principles from those pioneers who have paved the way. You will also learn to value those movers and shakers who faced far greater odds to implement small groups than the difficulties confronted today. Many have struggled with the same things you're wrestling with now. And just like they found solutions in the face of persecution and trial, God will help you to persevere, find solutions, and ultimately bear abundant fruit for his kingdom and glory."